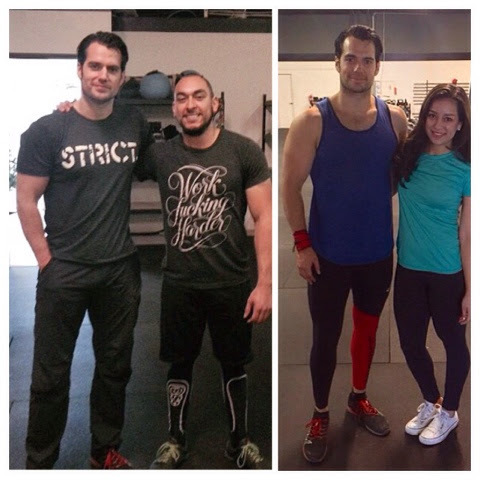 Henry Cavill News: "He's Very Nice, Very Polite, But Trains Really Hard"
"He's Very Nice, Very Polite, But Trains Really Hard"
"It was unexpected, but very cool," said Nick Quintela, the general manager of Black Flag, who trained with Cavill on Wednesday. "He's a pretty strong guy. He's very nice, very polite, but trains really hard. It was fun." Henry and Mike flew into El Paso on Sunday, on their way to Playas, New Mexico where Batman v Superman is now being filmed. Read the rest in the El Paso Times, and don't miss everything else from that day!